Cómo llamar a Chengdu desde EE. UU. The key to calling Chengdu! Your hometown, good ole’ Chengdu, is calling. Or is it that you want to call Chengdu? Either way, you miss your family and friends and need calls – lots of calls – back home. Well, you’re in luck, free calls to Chengdu are included in Vonage World®! 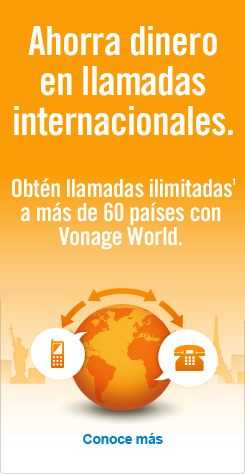 Vonage World gives you unlimited¹ calls to Chengdu, so you can call Chengdu mobile or landlines without hesitation. That means you can call Chengdu as much as you'd like for one low monthly rate that's worth its weight in golden sea birds. Once more, Vonage World includes free calling to Chengdu, but what's the proper method TO CALL Chengdu? Check out our step-by-step guide below. Start by dialing 011 – the exit code for US/Canada. Next, dial 86 – the China country code. Then, dial 28 – the Chengdu area code. Complete dialing with the local Chengdu phone number. To dial friends and family in other cities, take a look at how to call China from the US and start calling today! Chengdu, the Sichuan Province (state) capital, has a population of over 7.1 million residents in its nine districts. Chengdu is an important in China as it boasts a model economy, as well as efficient transportation and communication networks. In 2007, Chengdu was named one of the top ten Chinese cities to invest in, and was recently recognized as one of the top five cities for livability in the country. Known for its spicy cuisine, Chengdu's local specialties include: Grandma Chen's Tofu, Dan Dan Noodles and Chengdu Hot Pot. The first two contain the famed Sichuan peppers, giving these dishes an extra kick. Despite its population being significantly less, Chengdu has more bars and tea houses than Shanghai, and many would argue, a better nightlife altogether.